Bring a friend along for FREE for each Pilates trial class (not valid for Prenatal Trial Class)! Moneysmart.sg – We are listed as one of the most affordable Pilates Reformer Studio in Singapore. 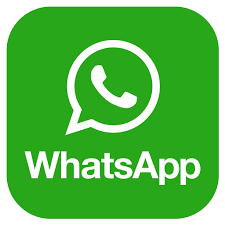 WHATSAPP US NOW TO BOOK YOUR PILATES TRIAL CLASS! More than 10,000 people have experienced Pilates Fitness unique Pilates routines. Bring a loved one along for FREE (not applicable for prenatal class)! Parents World – Pilates aims to build core strength by toning your abdominals and pelvic floor muscles. Today’s Parents – Pilates is practiced widely to tone the body and improve posture and can also be used for weight loss. 8 Days – Who needs Weight Watchers when you have Pilates For Weight Loss Classes from Pilates Fitness? BOOK YOUR 90 MINUTES PILATES REFORMER NOW! Mother & Baby – For Pilates classes that help you cull the kilos, check out Pilates Fitness Pilates For Weight Loss classes. SHAPE – Pilates Cardio Jump Board is the cool class that will inspire even the laziest girl (or boy) to work out. TODAY – Build strong bones with Pilates. The Business Times – Pilates Fitness has unique Pilates routines for specific targets such as for weight loss and body aches. Hi i would like to enquire abt the availability of the 90 minute reformer free trial course? We offer $35 for the first class you attend with us. You can also bring along a friend for free to join the same class together. Choose from Weight Loss Pilates with Reformer Introduction or Body Aches Pilates with Reformer Introduction as your first class. Would like to sign up for free trial (prenatal Pilates). You may contact me at 86681181. We do not have any free trial. You can sign up the $75 Couple Prenatal trial class if you have not attended any classes with us before. This is for 2 persons – your hubby and yourself. We will send you an email invitation shortly. Thank you! You can sign up the $35 trial class if you have not attended any classes with us before. With that, you can also bring along for free to join the same trial class. We will send you an email invitation shortly. Thank you! Interested for a trial for the couple pre-natal pilates class conducted at Serangoon Gardens. Hi, I would like to sign up for prenatal couple pilates class. May I know when I can start? I am 11 weeks now. thanks! Congratulations! You can start our Couple Prenatal Classes from your second trimester. Our prenatal classes are on Saturdays – either 1.30pm at Telok Blangah studio or 4.30pm at Serangoon studio. You can bring your hubby along as we offer Couple Prenatal Class. 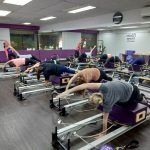 Trial class is $75 for two persons if you have not attended any classes with Pilates Fitness before. See you soon! I am trying to book the 90-min* Pilates Reformer Trial @ $30 (worth $60) and I am bringing my partner along but couldn’t log in. Can you please assist? It is both our first time to try this. Sorry for the late reply. We will send you an email invitation shortly. Please let us know which class slot you prefer and we will book it in for you. Alternatively, you can call us at 9184 7622 to book your slot. Thank you! Hi,I would like to find out more about couple pre-natal pilates, can you please share the rates with me? Sorry for the late reply. We will send you an email invitation shortly. Thank you! Hi. I want to sign up for my $35 trial and i know that i am entitled to bring a friend along for free. How do i sign up for that? Can we both get a slot for Saturday? Perhaps the 2nd week of November? I’m really interested to see if pilates is for me. Hi, I would like to trial the couple prenatal class, please send me the details. Thanks! We will email you the information! Hi i would like to sign for the pilates trial. However, my partner had injured his knee before, is he still suitable for this? Thanks. Hi there, we have sent you an email regarding your enquiry! We are unable to tell if he will be suitable, but you may wish to attend a trial class and see how it goes from there!